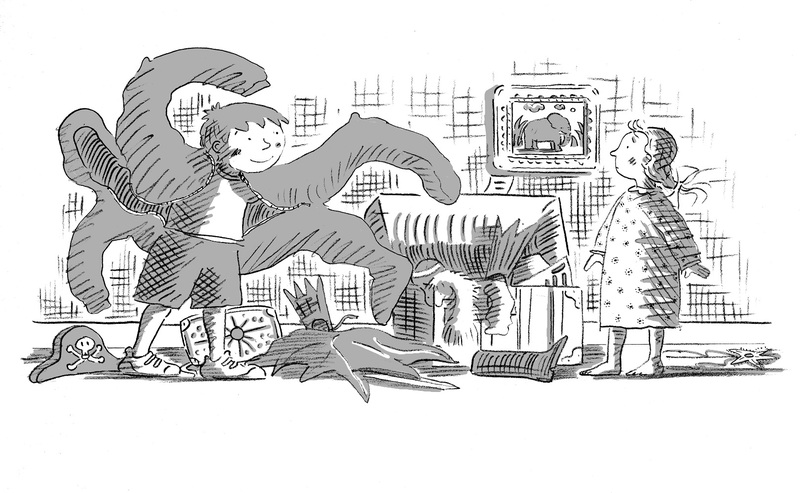 "Your imagination made that cave big enough for a dragon," said Uncle Paul. 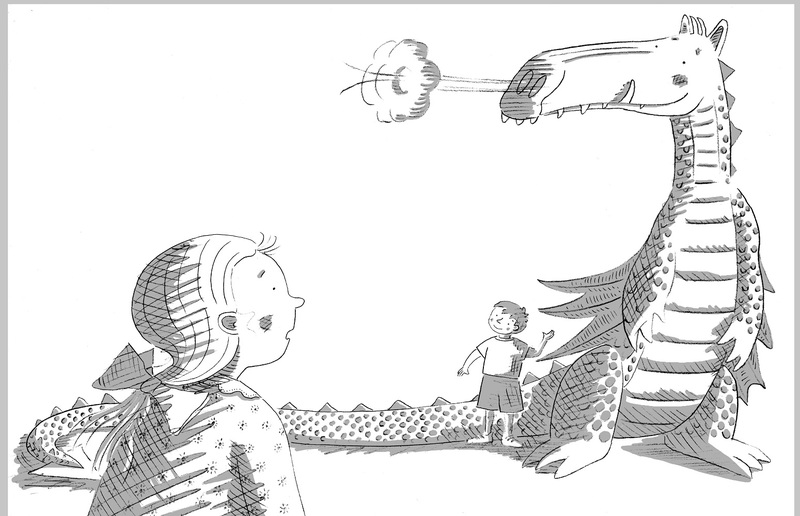 "A dragon as big as a bus!" Jake is excited when Uncle Paul offers to take him and his little sister out for the day. 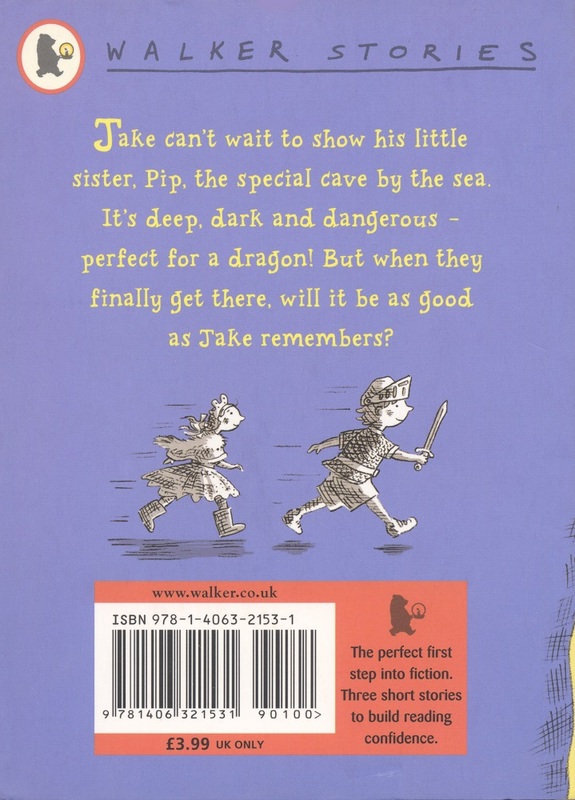 Jake wants to go to the big dark cave at the beach – they haven't been there for ages, and he can pretend to be a brave knight and save Princess Pip from the terrifying dragon. Pip is excited too: she'll get to wear her princess costume, and she knows that Sir Jake the Brave will save her! 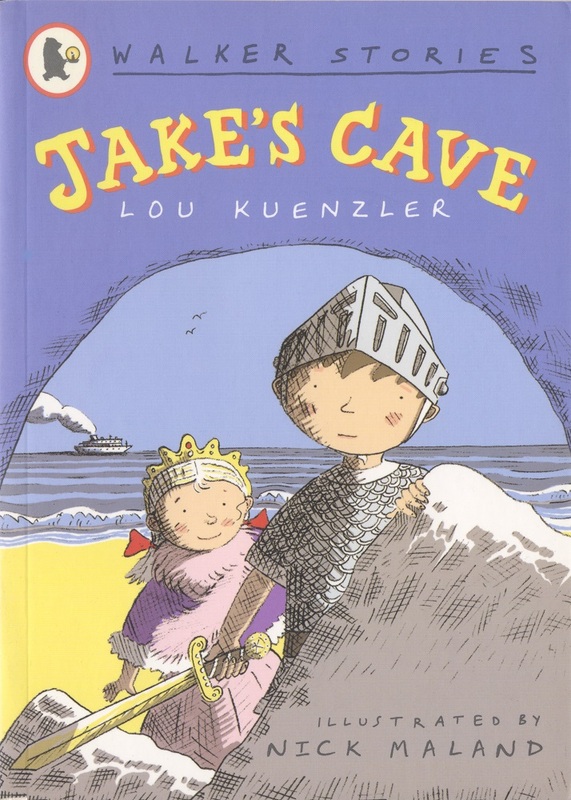 But when they arrive, the cave is much smaller than Jake remembers; he's too big even to fit inside it. Jake is so disappointed. Why can't things just stay the same? He soon realizes, however, that it's your imagination that counts. 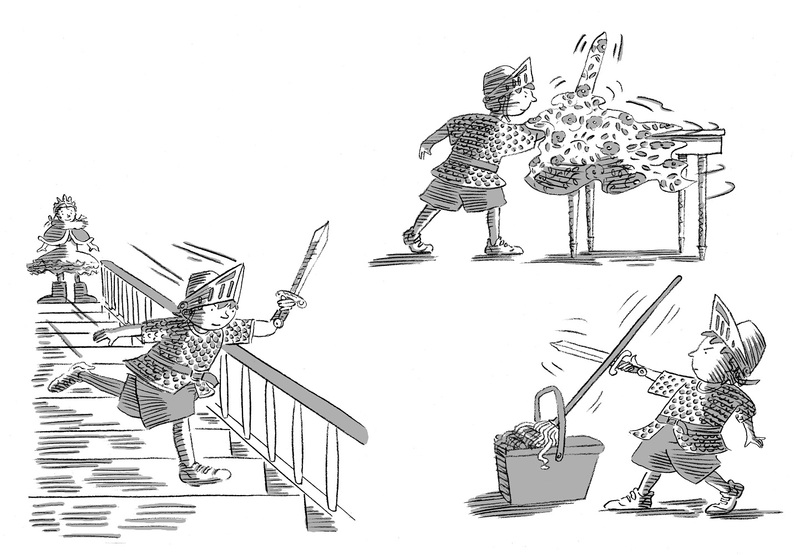 He'll just have to pretend – for Princess Pip!